Where? 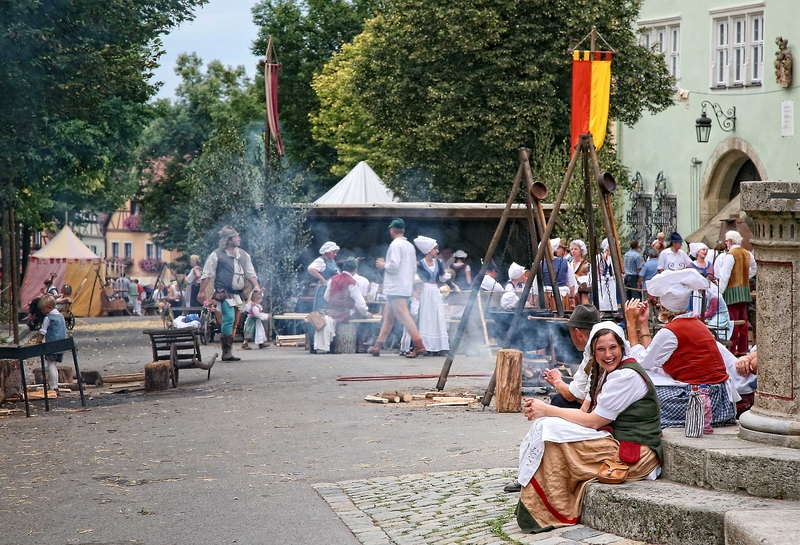 On the first weekend of September each year, the Imperial City Festival transports visitors to Rothenburg’s old city to the district’s golden age. 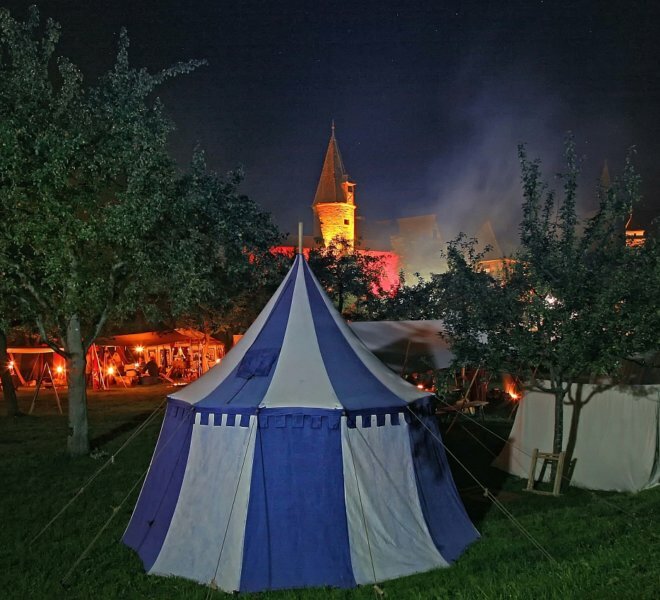 The entire old city becomes one huge Medieval camp. What? 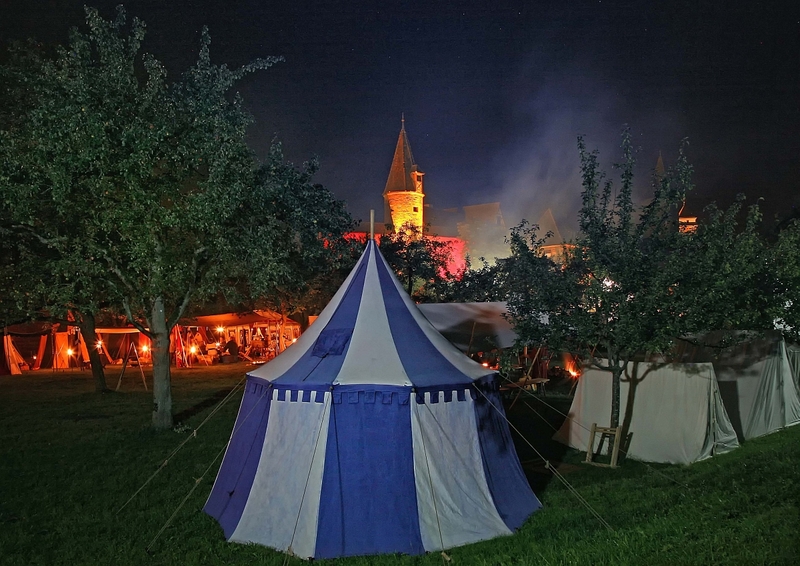 Historical groups from different epochs of Rothenburg’s history come together for the Imperial City Festival. A host of knights camp in tents in front of the Rödertor, while the Meistertrunk troops from the Thirty Years’ War range through the city. 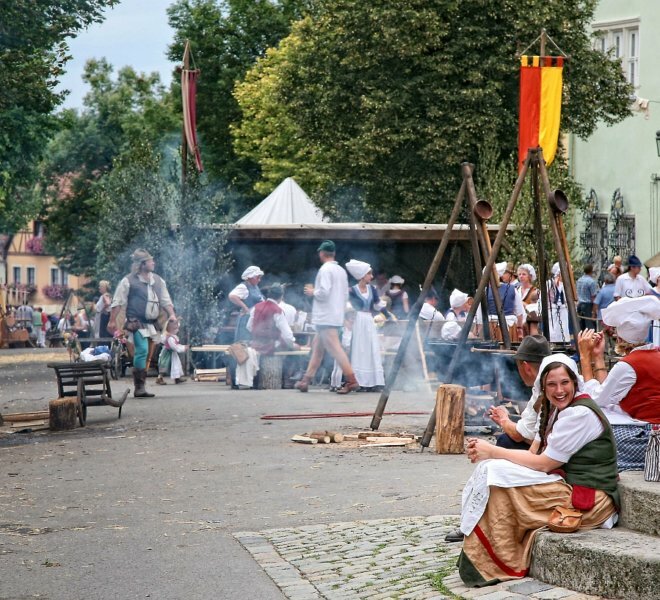 In Herrngasse you’ll come across Medieval townsfolk and Schillingsfürst peasants. Dive into the past as a visitor. Entry is free. Fun fact: 27 different historical groups take part in the Imperial City festival. They are found both in the old city and directly outside the city walls, such as on the Festwiese or at Kummereck. Be sure not to miss: Friday and Saturday evenings are especially atmospheric. 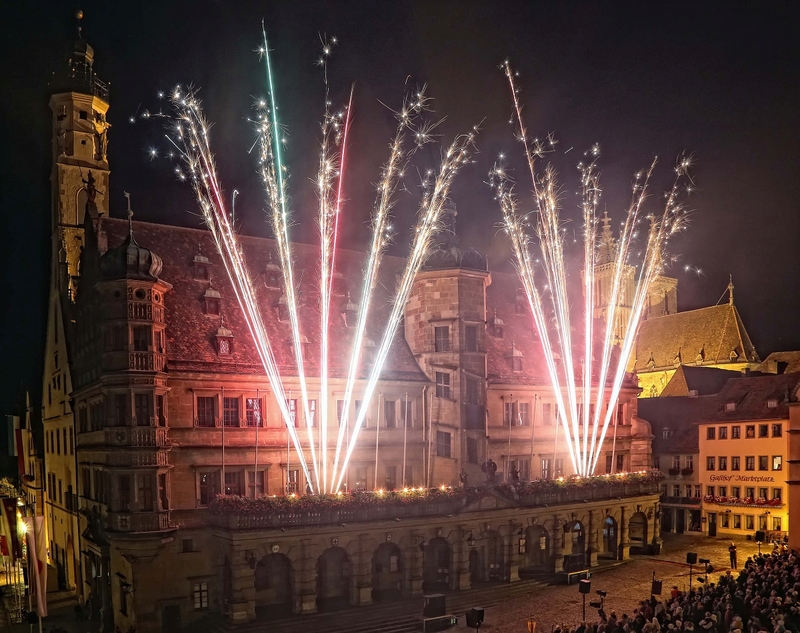 On Friday, all the groups make a torchlight march from the Doppelbrücke in the Tauber valley through the old city to the marketplace, where the evening is crowned with an amazing fireworks display in front of the city hall. 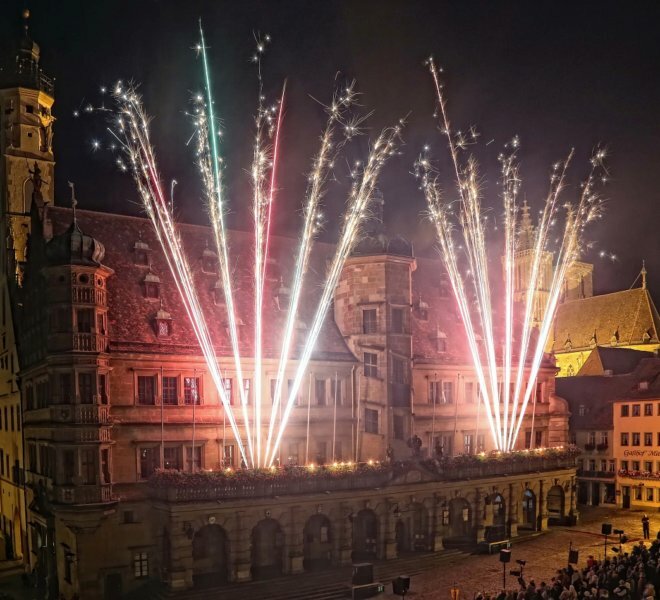 On Saturday, the best location to watch the Burning Town fireworks display is from the Tauber valley.